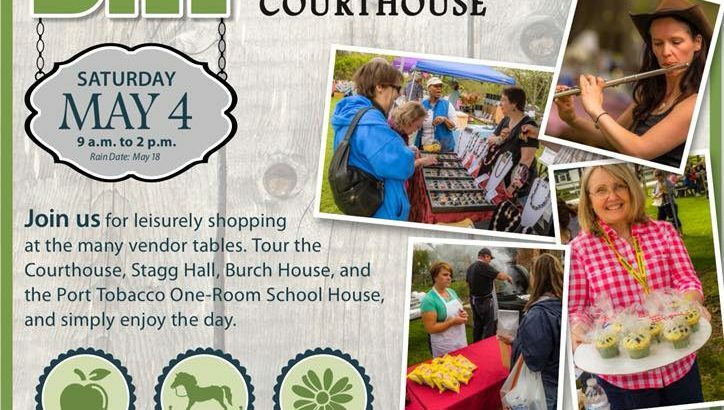 PTRC will be joining The Society for the Restoration of Port Tobacco to celebrate its 10th Annual Market Day at the Historic Port Tobacco Courthouse. Hope to see you on on Saturday, May 4, between 9 am and 2 pm for shopping at the vendor tables, tours of the historic buildings, and the famous Charles County Garden Club annual plant sale. Admission is free!